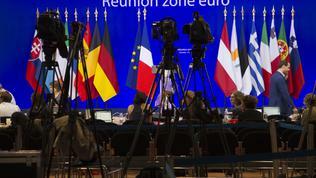 At noon on Thursday, the leaders of the eurozone countries began to arrive at the EU Council's building in Brussels. According to the agenda they were supposed to have a working launch and to come up with final decisions around 4 PM local time. Everyone familiar with the agenda of the extraordinary summit would consider this programme too optimistic. The conditions for the second Greek bailout and decisive measures to address the debt crisis in the entire euro area could hardly be hammered in only a few hours, even when France and Germany had agreed in advance. 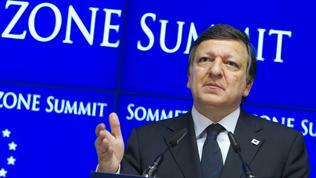 Moreover, they had agreed with the stubborn president of the European Central Bank, Jean-Claude Trichet. So, ultimately, the meeting continued till late in the evening. Journalists and the institutions' staff were trying to check whether the leaders had ordered a dinner too, to find out whether they would have to wait for news from the meeting till dawn. However, around 10 PM local time, the meeting finished and a marathon of briefings began. 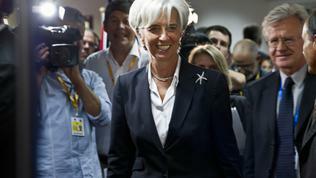 First was French President Nicolas Sarkozy, followed by presidents José Manuel Barroso (of the Commission) and Herman Van Rompuy (of the European Council), together with Greek Prime Minister George Papandreou, then ECB President Jean-Claude Trichet and finally the managing Director of the IMF, Christine Lagarde. In parallel German Chancellor Angela Merkel and the Prime Minister of Luxembourg and Eurogroup president, Jean-Claude Juncker, held their briefings. The private sector will support Greece on a voluntary basis by various measures, as its overall contribution is estimated at 37 billion euros until 2014. The options for restructuring the Greek debt offered to the creditors include reduction of the interest rates (currently reaching a record high level of 25%), extension of maturities, different types of swaps and, in some cases, haircuts with an average loss of 21% of the value of the Greek bonds. The banks have agreed to participate in a debt buy-back programme worth 12.6 billion euro, bringing the total amount of private sector participation to 50 billion euros. 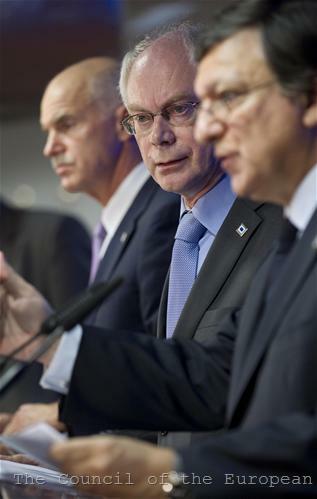 For the period 2011-2019 private sector's total net contribution will reach 106 billion euros. Furthermore, “credit enhancement will be provided to underpin the quality of collateral so as to allow its continued use for access to Eurosystem liquidity operations by Greek banks”. This is an important clarification, given the possibility if the credit rating agencies still decided to declare a Greek default, the ECB to refuse to accept Greek bonds as collateral for providing financing to the banking sector. Obviously, this commitment of banks and the decision to increase the scope of the rescue fund for the euro area made ECB's President support the decision of the leaders. 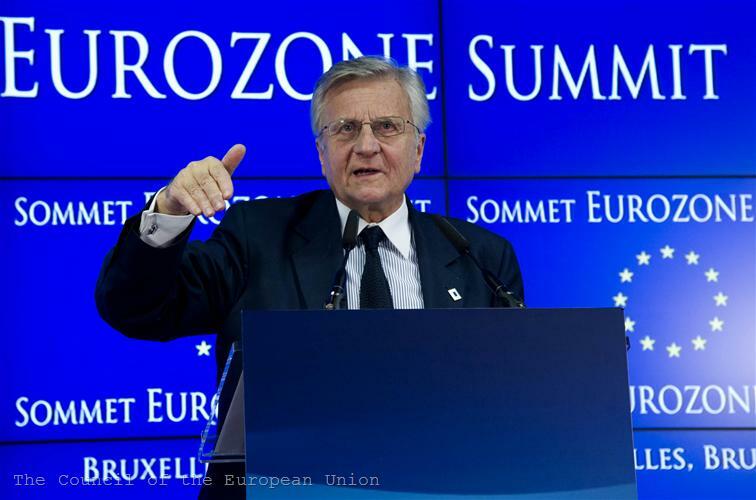 According to The Financial Times, the other reason was that Mr Trichet had been assured by the leaders that private sector involvement would be limited to Greece only and would not be applied to Ireland and Portugal. 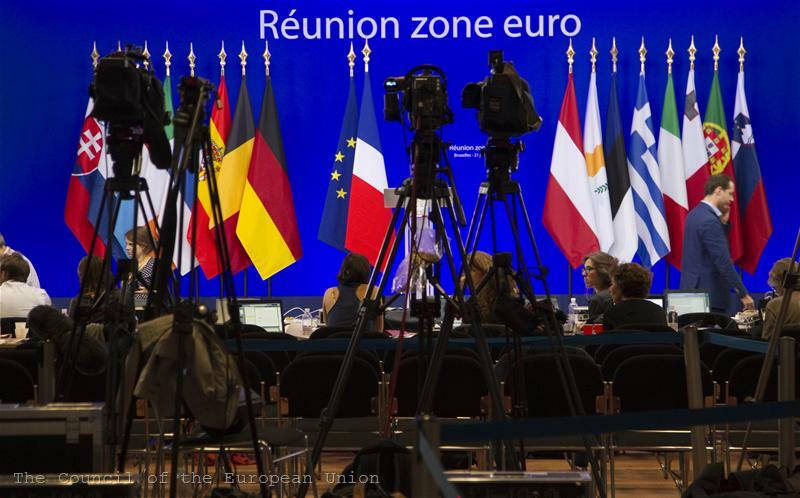 The third element of the rescue programme is to increase the scope of the rescue fund for the euro area - European Financial Stability Facility (EFSF). The Fund will be entitled, unlike now, to buy debt on secondary markets (only after an ECB analysis, in exceptional market circumstances and following a unanimous decision of the member states) and to recapitalise banks through government loans, including in non-programme countries. 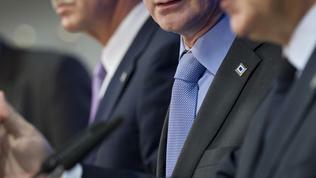 The decision is also an expression of a qualitatively new level of integration in the euro area. 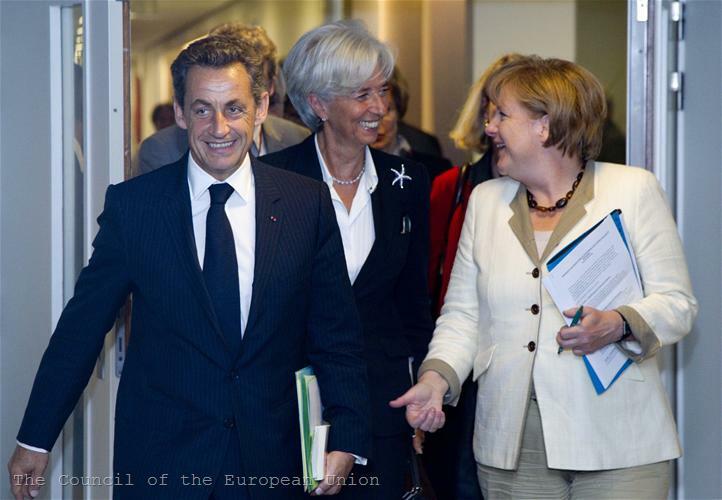 German Chancellor Angela Merkel defined it as a historic one, and French President Nicolas Sarkozy called it “the beginnings of a European Monetary Fund”. “What we are doing now is an example for deeper integration - handing over and transferring more competences to EU institutions. 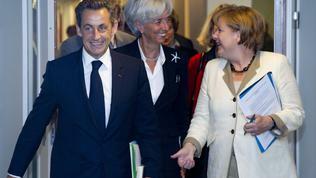 This is a historic day,” Ms Merkel said. Dressed in a stylish beige jacket (unlike the blue and purple colours reserved for heavy battles), she seemed satisfied. Germany achieved its goal - the private sector to take part of the losses in Greek rescue, in order to enable the chancellor to justify German taxpayers' participation in the rescue operation. At the same time, although Berlin had to step back in terms of changing the rescue fund, which it had strongly opposed, it won the fund to operate under very strict conditions, only in exceptional circumstances and under a unanimous decision of the member states. 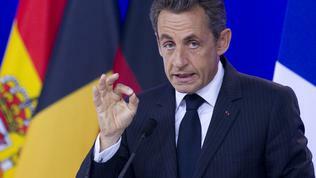 According to French President Nicolas Sarkozy, as a result of the agreed measures, Greek debt to GDP ratio will decrease by 24 percentage points - now it is 150% and the debt amounts to 340 billion euros. The decision to reduce the interest rates and to extend maturity of the EFSF loans will be applied also to the other two countries with bailout programmes - Ireland and Portugal. In the Irish case, however, this relief has a high price - after months of resistance even to consider changing its corporate tax rate, Ireland has agreed “to participate constructively in the discussions on the Common Consolidated Corporate Tax Base draft directive (CCCTB) and in the structured discussions on tax policy issues in the framework of the Euro+ Pact framework,” the statement of the leaders states. Although this does not automatically mean an increase in corporate tax it is clearly a retreat from the initial position of Dublin, that the corporate tax is not negotiable. 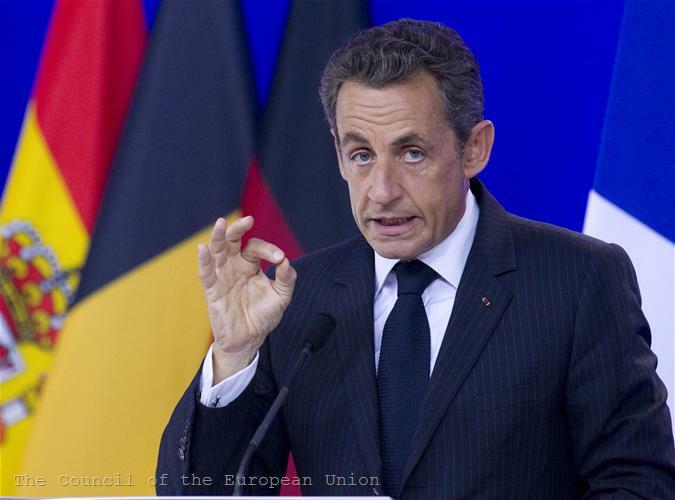 Nicolas Sarkozy explained the relived conditions for the loans to Ireland and Portugal, saying that it would be unfair countries that fully meet their commitments under the programmes to have more severe conditions than Greece. France and Germany were countries that exercised the most pressure on Ireland to increase its corporate tax rate in exchange for reduction of the interest on the loan. 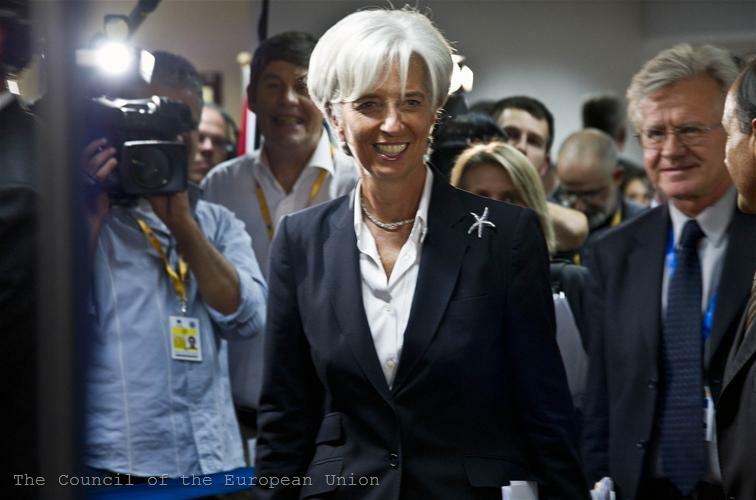 IMF Director Christine Lagarde stressed that it was particularly important that the eurozone had decided to provide support to countries under programmes with more favourable conditions until they regained market access. As for Greece she assured that the IMF would continue to play its part, but refused to comment on the parameters of the new loan until there was a formal request by the Greek government. A very important clarification, made by all European leaders, is that the decision on private sector's participation relates only to Greece and not to Ireland and Portugal. Everybody stressed that there was an “exceptional situation” in Greece that required a “unique solution”. This does not apply to the other two countries, which will continue to respect its commitments to creditors, that are not threatened by new losses. This guarantee is vital not to provoke fear among investors and new market tensions. 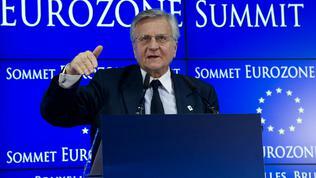 In addition, the leaders “endorsed the line of reducing the over-reliance on external credit ratings,” the European Commission President announced. A day earlier the Commission presented its first proposals in this direction and will come up with new ones in the autumn. 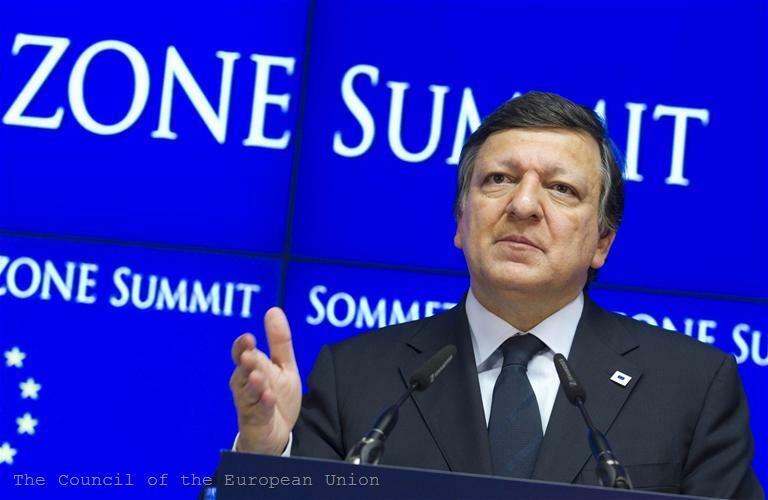 Jose Manuel Barroso said that a special Task Force for Greece would be created “to provide technical assistance to help Greece implement its reforms and mobilise and better target structural funds: this, together with the programme for Greece, is what we have referred to in the meeting as a European kind of Marshall Plan, where we will ask Member States and the European Investment Bank to give a contribution”. Despite the skeptical comments of some analysts about the “European Marshall Plan”, markets reacted positively to the decisions of the Euro leaders. This proves once again that it's all about trust - Greece might not enjoy such, but when Ms Merkel says she stands behind it, along with other European partners, the markets hear: the situation is under control. And this time it really appears to be the case.